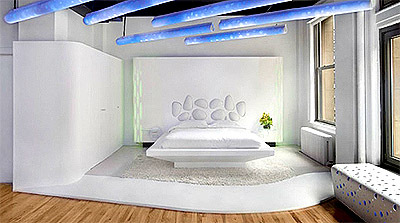 These fascinating modern light fixtures and overall interiors came from a New York-based Dupont Corian Design Studio. The designers used the latest innovations in lighting and technology to create this “place of refuge” inspired by Japanese landscape. 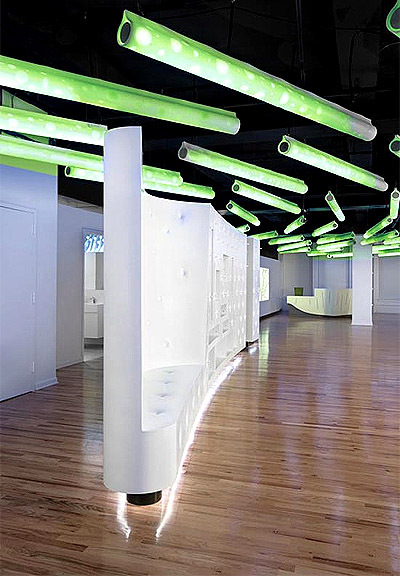 This exhibit space displays the infinite possibilities provided by the extraordinary material. 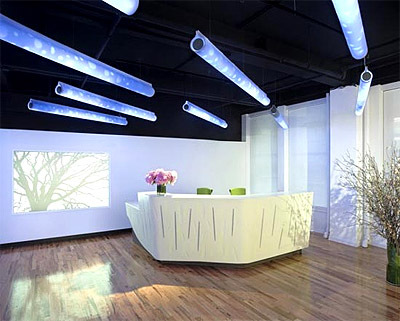 Nonporous Dupont Corian is a high performance, easy-to-maintain solid surface material that can be made into any shape. Also, take a look at “Branding By Interior” e-book, the only book written on this subject at this time. It brings insight on how you can turn your business into a market-dominating competitor by using cognitive responses.